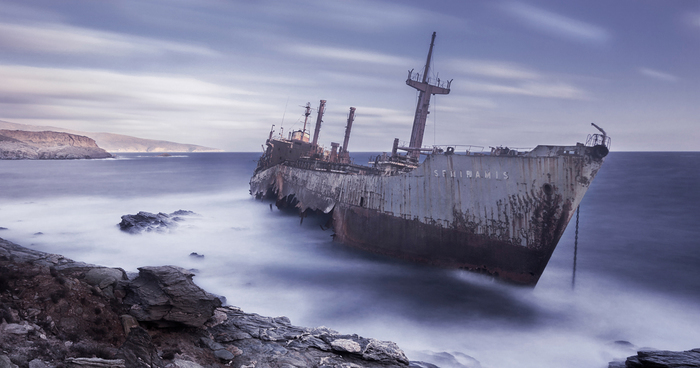 Ships stranded on the beaches have a charm and a special mystery. These I show are in the southern end of America. Feel free to upload and display those you have photographed. It's sad and mesmerizing at the same time, very good shot. In the magnificent beach of Vori.. The composition of this picture is amazing! #28 The End Of "lady Salar"
Beautiful image by Colombian Photographer Hernán Echeverría! #49 San Andrés, Embarcaderos Que Devoran Naves. San Andrés Islas Colombia. #50 En El "mar De Los 7 Colores" San Andrés Islas Colombia. #73 Garðar Ba64 - Patreksfjorður, Iceland. #82 The Remains Of The Peter Iredale, Long Beach, Wa. #89 San Jacinto, Baja California, México. #98 Cruising... Is More Fun In The Philippines !